March Madness is here! 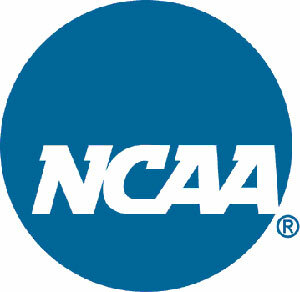 The college basketball conferences have finished, and the 2014 NCAA Tournament bracket had been announced on CBS and ESPN (by the way, ain’t it cool that you could watch BOTH online – for FREE?!). There were a few surprises this time around – my alma mater NC State making it, Iowa getting an 11-seed and a play-in game while BYU got a 10th seed, and SMU getting snubbed were the main notables. However, I liked the fact that Wichita State was awarded with a top-seed for its undefeated season heading into the tournament – and the fact that the Shockers were placed in the hardest region so they could prove their undefeated season wasn’t a fluke. I also liked Virginia getting a top seed over Michigan. All in all, I think that this may be the most exciting tournament in recent memory. Let’s get this preview started – shall we? Analysis: This is a decent bracket, but not as brutal as the Midwest Region (more on that later). While Pitt and New Mexico are playing their best basketball right now, Florida is by far the big dog of the region. Syracuse has the talent to push Florida in the South Region, but the Orange have been spotty down the stretch. Final verdict: Florida should moonwalk out of this region. Analysis: Arizona, like Florida in the South Region, is the class of the West Region. The only team that I see giving them some trouble is Oregon. After all, the Ducks beat the Wildcats the last game of the regular season at home, and they had a good run in the Pac-12 tournament. The problem is that Oregon is SO much better than their 23-9 record indicates. Creighton and Doug McDermott are a nice story and will be fascinating to watch, but I do not think the Blue Jays will get past Oregon in the Sweet 16. Final verdict: Arizona shouldn’t sweat it, even if Oregon has something to say about it. Analysis: Some people think that the South Region is in the easiest region of the NCAA Tournament. I would disagree. Virginia does not have an easy path to the Final Four. Teams like Michigan State and North Carolina should put a little bit of fear in the Cavaliers. Speaking of Michigan State, the Spartans are peaking once again at tournament time. The way that the Spartans beat down Michigan in for the Big Ten tourney title served notice that they are to be reckoned with. Final verdict: Michigan State will beat Virginia in the Sweet 16 en route to winning the South Region. Analysis: Well, Wichita State, here’s your shot at the big time. In fact, the Shockers get their shot in what is hands-down the toughest region in the tournament. Michigan as the #2 seed. Duke as the #3 seed. Defending champion Louisville as the #4 seed. Oy, good luck with that Shocker Nation. I’ve got some bad news for you Shocker fans, not only will your team not make the Final Four, it will not make it out of the second round. That would be Kentucky taking out the Shockers. Look, it’s been a great run for Wichita State, and it is deserving of a #1 seed. However, the Shockers have not seen the athleticism they will see in the tournament – and it will manifest itself early. Final verdict: Louisville will take out Duke in the Elite Eight to reach the Final Four.